The Sovereign Class is a Federation built Assault Cruiser, designed for commanding Starfleet forces in heavy engagements and general patrolling on the Federation border. The Sovereign was among the list of ships on the drawing board for use against the Borg, which also included the Akira, Sabre, Norway, Steamrunner and Defiant class vessels. 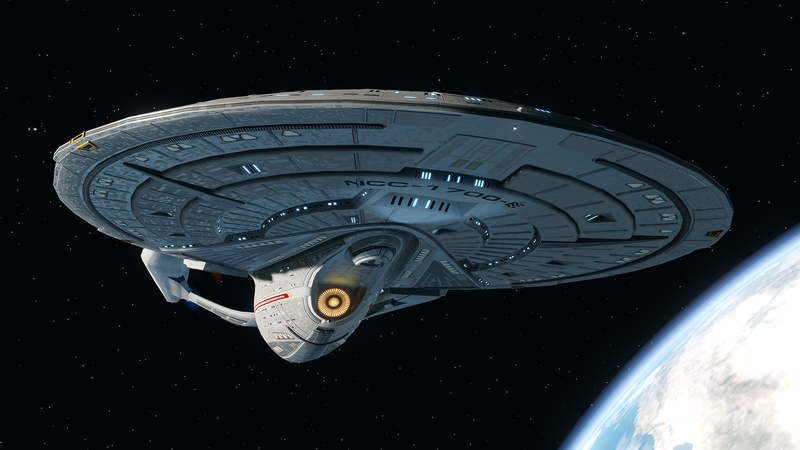 The first Sovereign Class vessel, the U.S.S. Sovereign, was designed with many experimental and highly advanced technological breakthroughs for starship design; but many of these were only perfected upon the launch of the U.S.S. Enterprise-E, the second Sovereign Class vessel to be conceived and the first one to be fully built and launched. The Sovereign is an especially powerful Assault Cruiser, designated so because it is as large, if not larger, than other Federation cruisers and possesses powerful weaponry at its disposal. The Sovereign has an extremely high number of phaser arcs, allowing it to spray its weapons in almost every direction. The Sovereign is also equipped with torpedoes, including a recent development designed for its sister ship, the Regent Class; a high angled Quantum Torpedo launcher that is capable of firing a Quantum Torpedo at angles that most other Cruisers could not reach. The Enterprise-E was also infamous for the ‘Riker Manoeuvre’, a manoeuvre performed in the Briar Patch by releasing highly volatile Metreon Gas from the Warp Nacelles and detonating it with the Warp Core. This manoeuvre is now been developed for the Regent and Sovereign ships, allowing this special manoeuvre to be performed in a tight squeeze. The Sovereign, and its counterpart the Regent, nowadays have been out-performed as the flagships by the Odyssey Class, but it does not mean either of these ships are not capable as foes in any battle.